Event Horizon trail - a trip around the black hole that is the 'dry area' for pub trailing in the eastern suburbs of Melbourne. 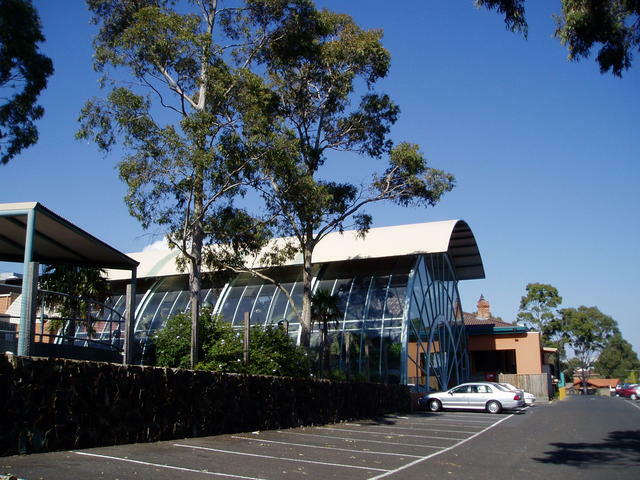 It's an area bounded by what was once two districts: Nunawading and Booroondara, which lay about 15km east of Melbourne. Why are there no pubs in this area? Well it all goes back to 1920, when prohibition was declared in the United States, and the area was decreed a dry area. But the movement goes back a lot further too. The area surrounding Box Hill was very much governed by churches in the area, which lead to the forming of a Rechabite Society in 1870. Their efforts promoted temperance, and eventually, in 1906, with the passing of an Act, significantly reduced the number of liquor licences in the State. But the area in question, was land owned by these influential parties, and to this day, the area still has no pub! However, it is extraordinary, the number of licenced grocers, bottleshop outlets, BYO and licenced restaurants exist in the area.! We've laid out the current outer area where hotels actually exist. But the DRY AREA is a much smaller area, and is bounded by what used to be the two original council areas in 1920. The former Nunawading area (Box Hill), is bounded by Middleborough Road in the east, Koonung Creek to the North, and Highbury Rd to the south. 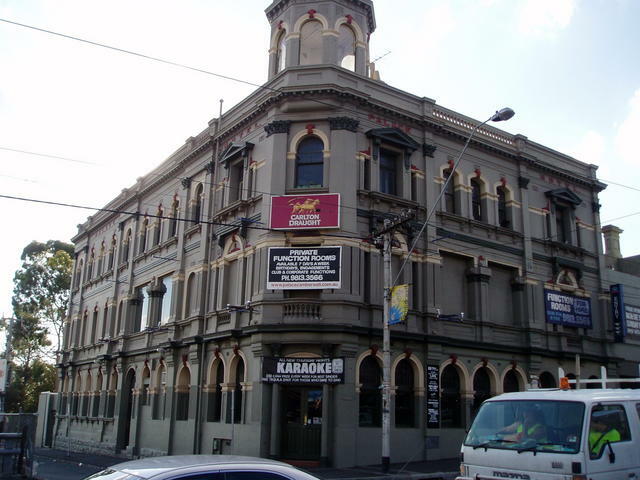 Here, in the middle of Camberwell, is the Palace Hotel, boldly positioned right on the border of the Event Horizon Trail which starts on the footpath on the opposite side of the road, next to the Camberwell Railway Station. From this starting point, head north up Burke Rd, over Canterbury Rd, until you come to Whitehorse Rd (Balwyn). At this point head east along Whitehorse Rd, where you are heading for Box Hill, where we'll take a round about way up through Doncaster, before getting back to Blackburn (which is on Whitehorse Rd again). overview of the Horizon Event trail, showing the Hotels that lay closest to the DRY AREA. Time for a little deviation in Box Hill to see two northerly pubs, and then come back to Whitehorse Rd again, on the way to Blackburn. We'll get there shortly, but first a little history, before that diversion up through Doncaster and Doncaster East....... so slow down at Box Hill (at Elgar Rd and then afterwards at Station St, both are corners of Whitehorse Rd). On the SE corner of Elgar Rd and Whitehorse Rd, was where the infamous White Horse Hotel once stood. You'll see a replica of the "White Horse" statue in a moment, as you head on east into the city of Box Hill where the road widens and has parking in the middle of the lawned area of the road. The statue faces you at that point. Then get ready to turn north into Station St. The views to the city of Melbourne from here are superb on a clear day and at sunset, you'll see the sun go down right over the Melbourne skyline. Just east of the corner, heading towards Doncaster East, you pass the Municipal Chambers of the Doncaster Council - also on prominent high land. Time to travel east along Doncaster Rd from the corner of Williamson's Rd until you reach Middleborough Rd where you'll find the Doncaster Inn Hotel. 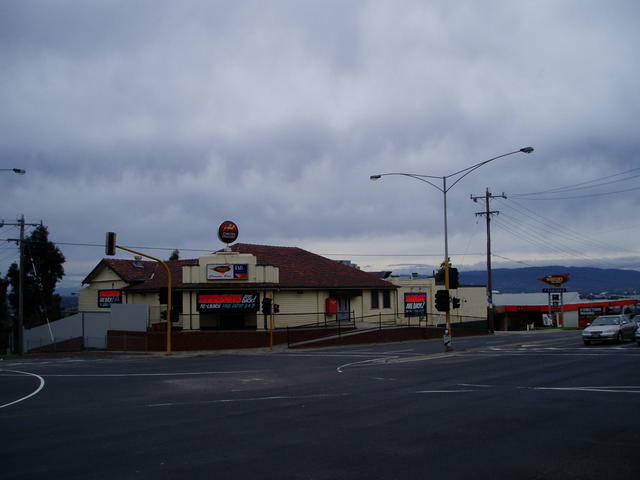 The hotels in Doncaster, and Doncaster East, are pretty much along the Doncaster Rd stretch, and, combined with the Blackburn Hotel, are the nearest Pubs to this dry stretch of Whitehorse Rd around the Box Hill area. At Middleborough Rd, head south, back down to Whitehorse Rd to continue east to Blackburn. Travelling from Camberwell, you reached Whitehorse Rd (named Cotham Rd going west, Whitehorse Rd going east). Whitehorse Rd, eventually becomes Maroondah Highway, and heads on out through to Lilydale. The townships of Balwyn, Mont Albert and Box Hill - are all dry along Whitehorse Rd. You have to travel right though to Blackburn to catch a hotel from here: The Blackburn Hotel. 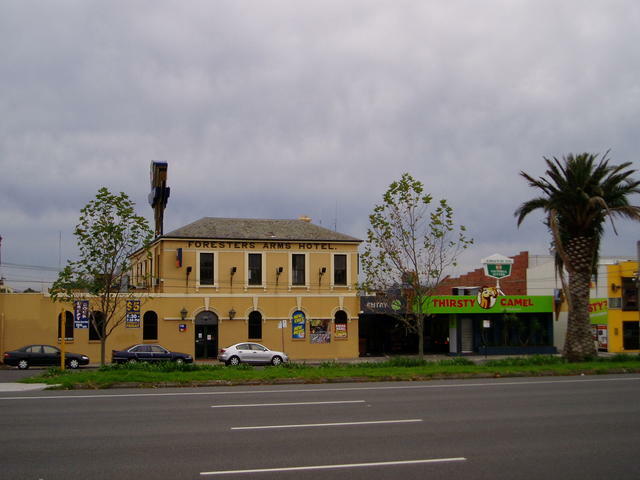 Further east along Whitehorse Rd, over Blackburn Rd, and nearly to Springvale Rd, once stood the Whitehorse Hotel in Nunawading. 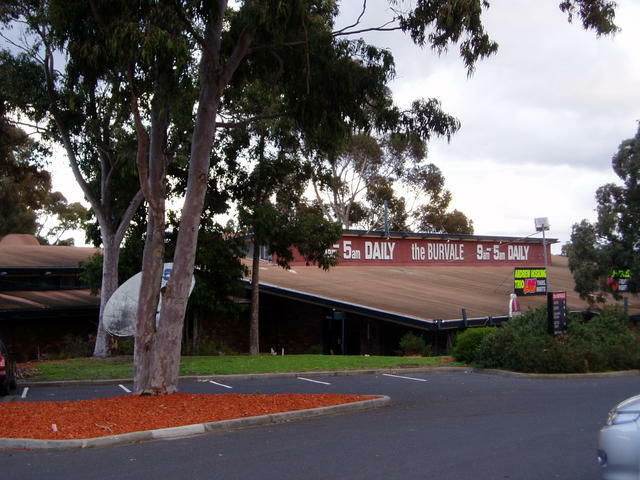 This hotel in Nunawading was demolished in the 1980's to make way for all the furniture shopping outlets in the area. Don't confuse the name of that former pub, with two others bearing the same name - also now long gone. Way back in Hawthorn in Burwood Rd (opposite the Hawthorn Railway Station, once stood a Whitehorse Hotel - demolished in the 1990's to make way for an apartment building. The real original White Horse Hotel (two words!) was opened way back in 1853, closed during prohibition, when it was used as a boarding house, and then demolished in 1933. It was located on the corner of Whitehorse Rd and Elgar Rd, in Box Hill. The Statue of the White Horse in the middle of Whitehorse Rd as you go through Box Hill, was actually donated from the Hotel when it closed. Just for your information, travelling up Maroondah Highway, you reach Springvale Rd, Nunawading - the NW corner of this trail. 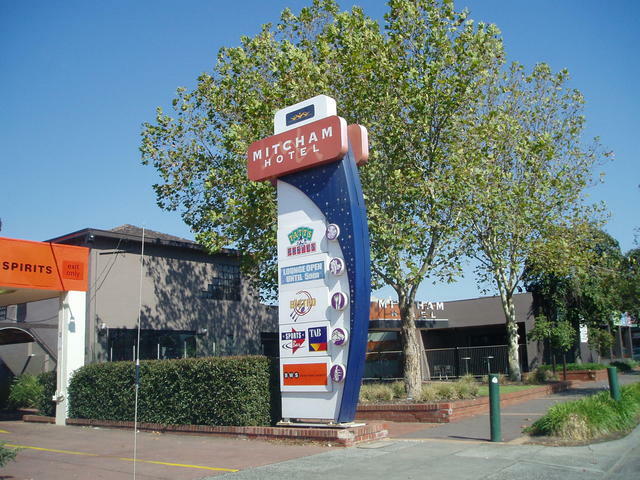 A little further up Maroondah Highway is Mitcham, which has the Mitcham Hotel, and Ringwood lays beyond with two hotels. ALSO NOTE: At this point you are a fair way from the original DRY AREA eastern border, which was in fact Middleborough Rd. Yet since 1920, there have been no attempts to build hotels along Middleborough Rd - nor along Blackburn Rd. 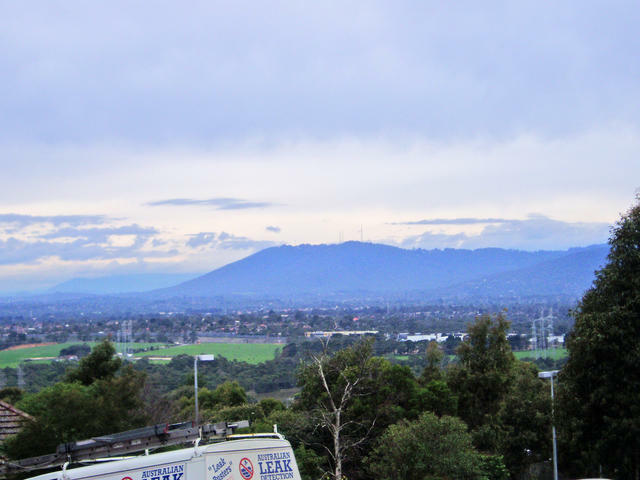 Ringwood lays beyond, further up Maroondah Highway with hotels at each end of the town. But that is not part of this trail, except to mention that Whitehorse Rd changes name to Maroondah Hwy at Heatherdale, just prior to reaching Ringwood. But it is time to get back on the trail, by heading south down Springvale Rd, the western border of this trail. 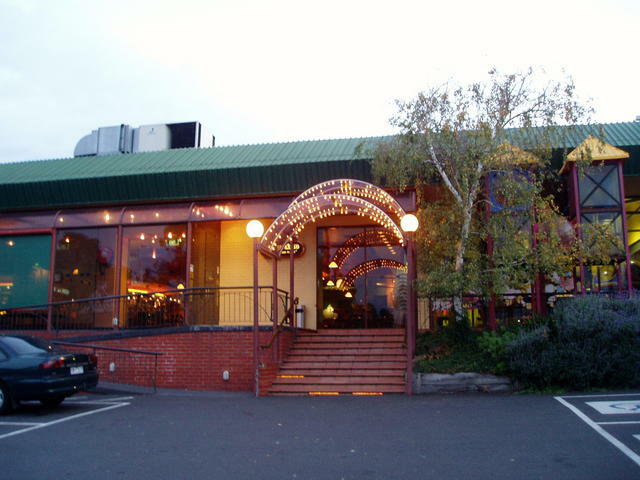 Daisey's Hotel is adjacent to the lake on Mt Dandenong Touist Rd corner of Maroondah Highway at the eastern end of town. Heading south down Springvale Rd, the eastern border of the trail, you have to travel to Burwood Highway, East Burwood, to reach the Burvale Hotel on the NE corner. 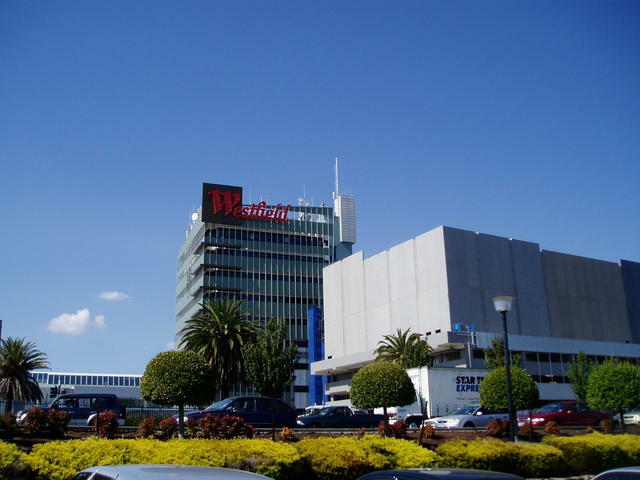 You'll be passing the original Channel 0 (now channel 10) complex on the west side of the road, and as you reach the hotel, you start to see the industrial business parks that were once part of the large Tally Ho estate on the SW corner at Burwood intersection. 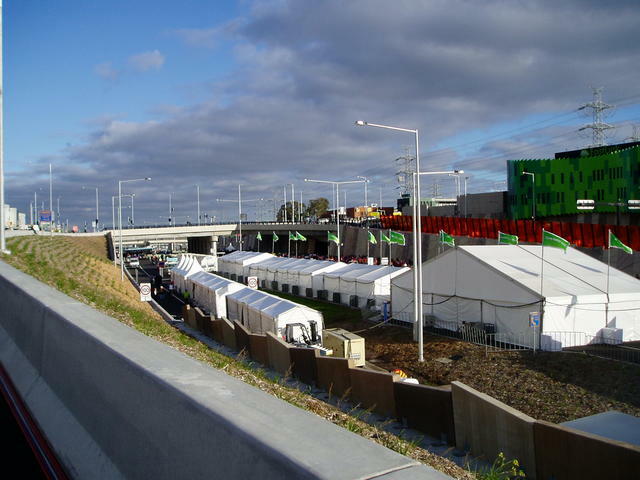 Burwood Rd is a major arterial road that can take travellers east, up past Knox City Shopping Centre in Wantirna, and beyond there to Ferntree Gully and to the end of Burwood Rd in Belgrave. These towns feature as part of the Silvan Dam trail and The Dandenongs trail - so there's something for another day! 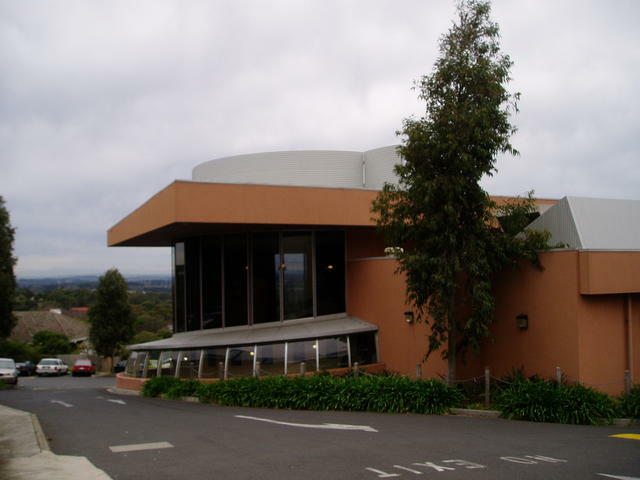 Coming in from the south down Springvale Rd, over Highbury Rd, you reach Glen Waverley, and the Mountain View Hotel, positioned on the eastern side of the road. Site of first gold found in the area. The corner of Springvale Rd and Ferntree Gully Rd, marks the South East corner of the trail. Yet this is still a fair way from the true SE corner of the Dry Area. 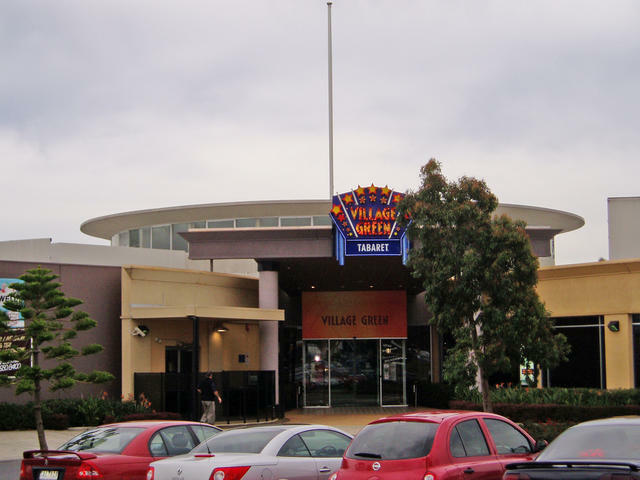 Here, you'll find the Village Green Hotel, right opposite the Brandon Park Shopping Centre. If you were to travel out of this trail, further to the East, you reach the Wheeler's Hill Hotel, or further south down Springvale Rd, there are any number of hotels in either direction from the corner of the Prince's Highway. 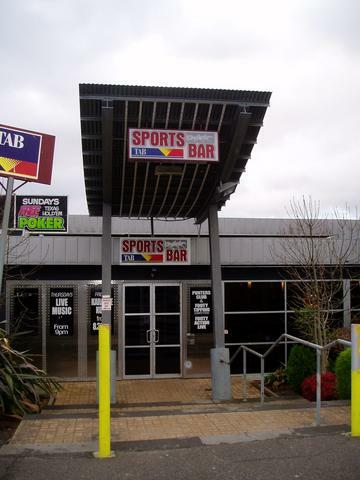 You are about to take a turn into Ferntree Gully Rd, and you start to travel along the southern border of the trail, and pass the entrance to the Monash Freeway just past the Village Green Hotel. The corner of Springvale Rd and Ferntree Gully Rd, really marks the South East corner of the trail. 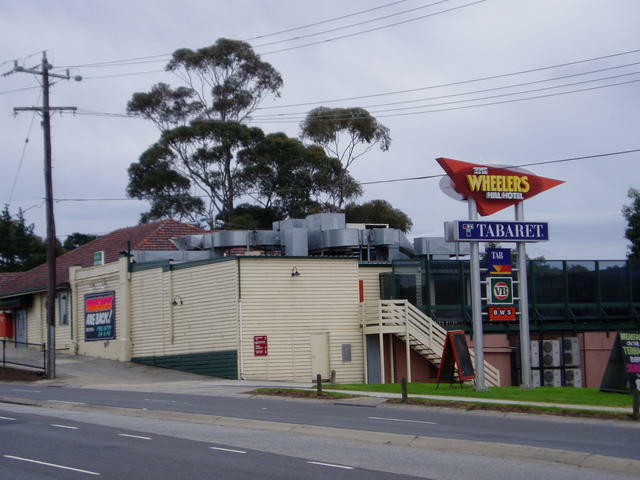 But if you're interested in a quick drive east to Wheelers Hill, you'll be well rewarded with not only some great views of the distant Mt Dandenong Ranges, but you'll enjoy them from the Wheeler's Hill Hotel, steeped in history of the area. The original pub and the new venue complex are worthy of a look. So slip east up Ferntree Gully Rd, and then come back again to this corner, and head west for Notting Hill, back on the trail. Travel west along Ferntree Gully Rd over Blackburn Rd till you finally reach the next port of call: The Notting Hill Hotel on the corner of Gardiner Rd. 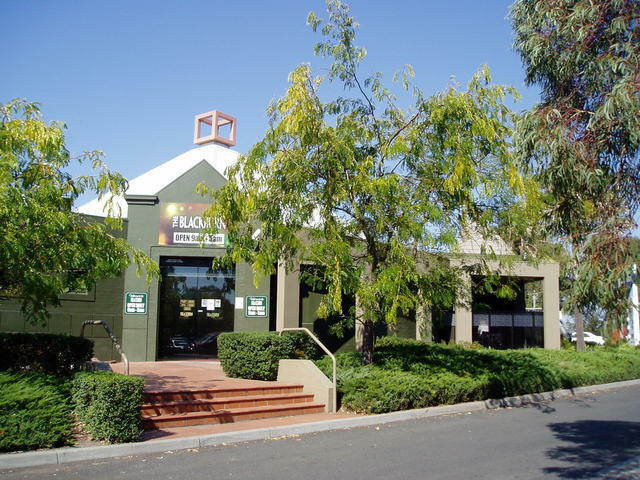 Conveniently located not far from the Monash University, and right in the middle of a well established business park area, this hotel has a huge regular patronage...... not to mention a great history! This hotel, first built in 1891 has been under the ownership of Kath Byer personally since 1936! Now that's an effort. 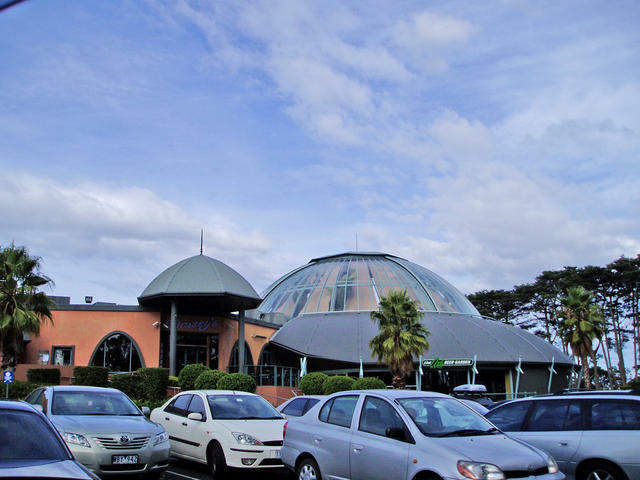 The main township of Oakleigh is actually south from the corner of Warrigal Rd and Princes Highway, and easily reached by travelling south from the Forrester's Arms Hotel, if you want to check it out. But otherwise, time to head north along Warrigal Rd. Forester's Arms Hotel on the Prince's Hwy in Oakleigh. 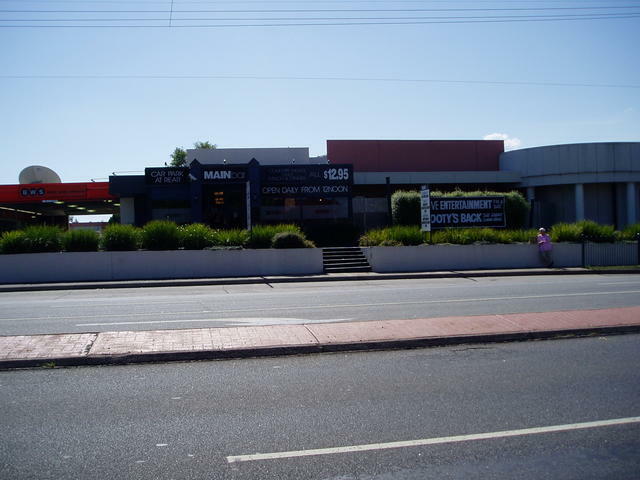 Turning north out of Prince's Highway into Warrigal Rd, leads you to East Malvern where you pass the Matthew Flinders Hotel which is adjacent the East Malvern Golf Course which follows the Gardiner's Creek and where the Monash Freeway is now built over it. This marks a midpoint in the Event Horizon Trail, as the border swings along the creek. Drop back to Waverley Rd and head along to where it meets Malvern Rd, and brings you back onto Burke Rd. That position marks the South West corner of the trail. 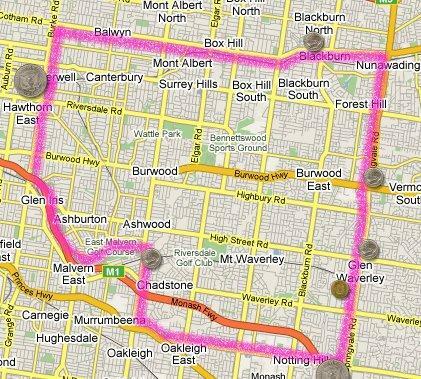 You can then travel north up Burke Rd to the commencement point, back in Camberwell again. So that concludes the round trip of the trail. 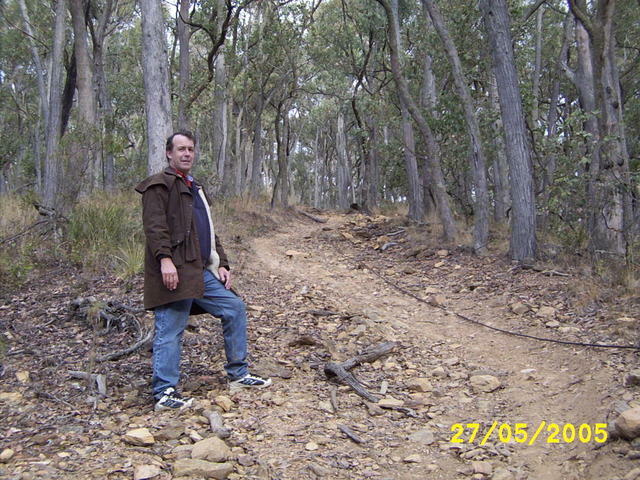 It is quite a wide area compared to the actual Dry Area defined back in 1920, and controlled by way of an Election Option under the auspices of the City Of Box Hill these days. And what other hotels were (now no longer) in the area prior to the 'dry' being announced back in 1920? Moloneys Hotel in Canterbury Rd, Canterbury. Railway Hotel was on South West Corner of Whitehorse Road and Station Street in Mitcham. 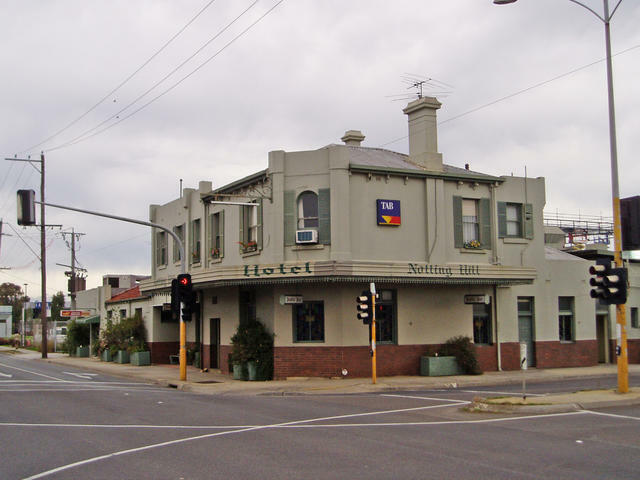 Balwyn Hotel (building only) is still on the North-West corner of Balwyn and Whitehorse Rd in Balwyn. 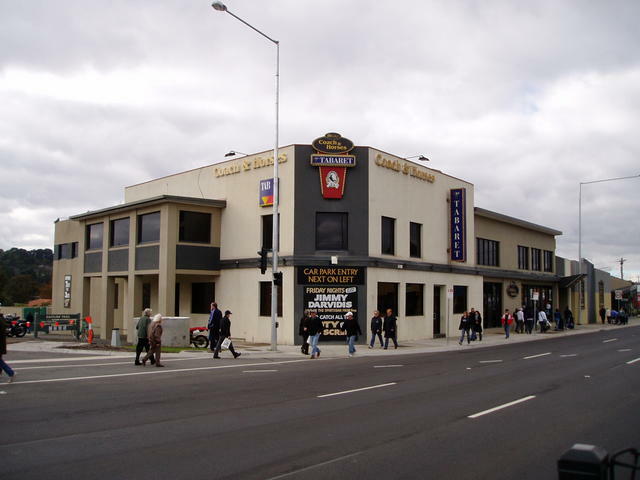 Harkaway Hotel on Burwood Highway (west of Tally Ho) in Burwood East.